Prefabricated Wooden Houses Manufacturer in Delhi, Prefabricated Wooden Houses Supplier in Delhi, Prefabricated Wooden Houses in Delhi. Prefabricated Wooden Houses Manufacturer in Delhi, Prefabricated Wooden Houses Suppliers in Delhi, and Prefabricated Wooden Houses in Delhi. DTH is engaged in manufacturing of Permanent Pine Wood Prefabricated Houses in Delhi, even we are providing are services of a wooden home all over the world. 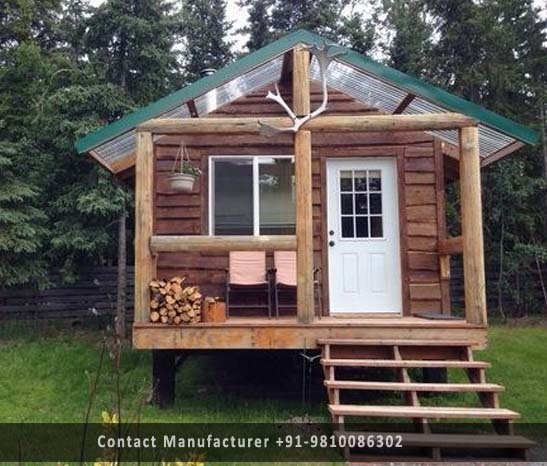 Our client can avail high-quality range of Prefabricated Pine Wooden Houses and villas & are assured of better operational life and sturdy structure We have a skilled team which provides you customized permanent prefabricated wooden houses in Delhi. The raw materials used are of the best quality and thus we are able to give you the premium quality. Our range of Prefabricated Wooden Houses is available in compact design and sturdy structure They are used in many places like school, site offices, trauma centre etc. and have scope for many another area of animal stables, cattle shelf etc. Wooden prefabricated home, villas, resorts, hotels, camping sites etc. so please contact DHT for Prefab homes in Delhi. We offer our range at market leading affordable prices.